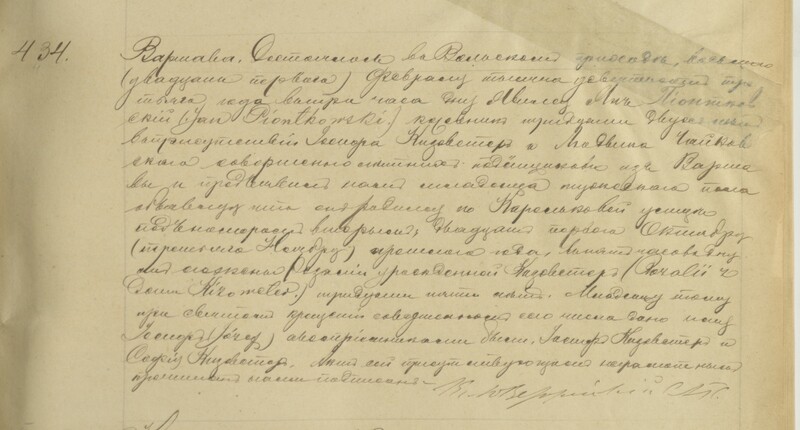 For several months I’ve been corresponding with the Polish State Archives [Archiwum Państwowego] to obtain a copy of a birth/baptismal record for my grandfather’s brother. Why go through the trouble for a collateral ancestor? Because my grandfather was born in Philadelphia and his older brother and sister were born in Warsaw. My finding one of their baptismal records, I hoped to pinpoint exactly where the parents came from more than just the city name. Note: Two dates are given because Russia used the Julian calendar at that time. The second date is the Gregorian calendar in use in Poland (and much of the rest of the world) then and now. Aside from the obvious facts, I’ve also learned a few key points from this record that will aid in my future research on this family. First, the record came from św. Stanisława i Wawrzyńca w Warszawie (Wola), or Sts. Stanisław and Lawrence of Warsaw, Wola. I can now check to see if Jan and Rozalia were married in this parish. As there are quite a few churches in Warsaw, it will be much easier to check one first rather than randomly search many. I also have the family’s address which may also prove useful. Hopefully they did not move as often as they did once they came to the US! I’d like to find their marriage record and it would be quite easy if they were married in the same parish. Unfortunately, they seem to have a different address for each census and/or other event in the US, so anything goes. 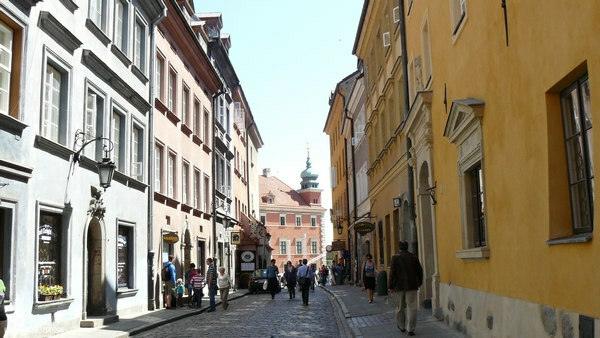 I am interested in finding out more about Wola, which is the section of the city of Warsaw in which they lived. Here is a brief history from Wikipedia and Wola’s website in Polish. I finally have a confirmation of my great-grandmother’s surname, Kizoweter. My grandfather said that it was her name, but since it is not of Polish origin I wanted to see confirmation in a Polish record source. According to German Names by Hans Bahlow as well as an email from the Polish surname expert William “Fred” Hoffman, it is a variation of the German name Kiesewetter, which means “Check the weather” or “weather watcher”. Are the godparents her brother and his wife? Or her brother and sister? As always, one record found leads to more questions. But, for me this was a step in the right direction. 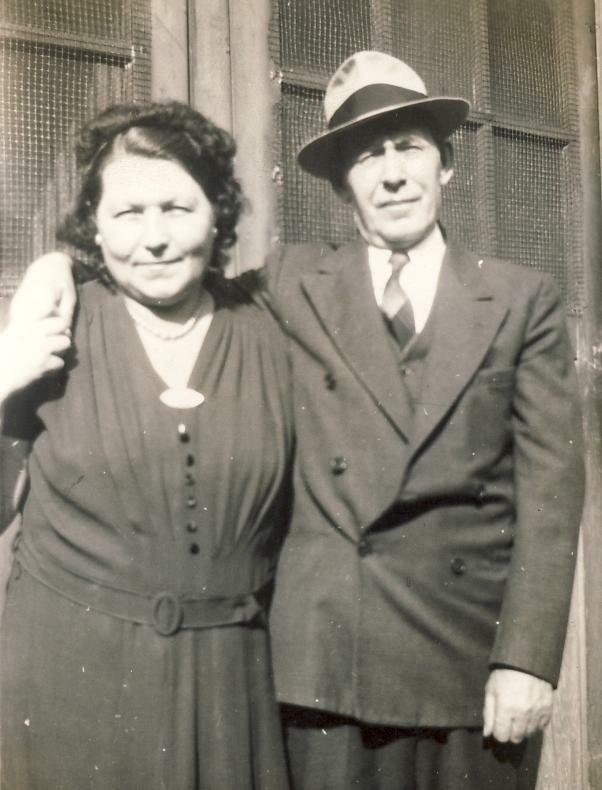 While I have gone back many generations for other “sides” in my family, I am still searching for the origins of my Piontkowski great-grandparents. Once you dedicate some time to the search, success is possible. Stay tuned for more information once I (hopefully) find their marriage record. 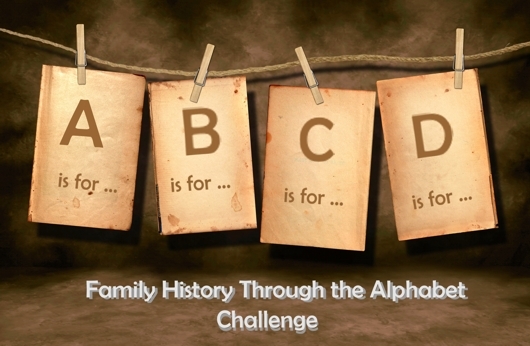 The 41st Carnival of Genealogy asks the question: If you could have dinner with four of your ancestors who would they be and why? Since I have four grandparents, it’s only fair to invite one ancestor from each “side”. It would be nice to see all of my grandparents again, but since I had the opportunity to know them all to some degree, I wanted to choose other ancestors. The setting will be at my house, and my boyfriend will be in the kitchen making the meal. He’s a fantastic cook and he’d probably rather hide in the kitchen than meet any more of my relatives. He always makes a wonderful menu, and for this occasion we’d have foods from various nationalities to make everyone feel at home, including a pork dish for the Germans and pierogi for the Poles. But, he’ll also throw in some Italian food to liven things up. There will definitely be wine…several bottles of it! And most importantly, a camera! Although I can only invite four deceased ancestors, the carnival rules didn’t say anything about other living relatives allowed to attend, so I’m sure that my parents, aunt, brother, and other relatives might want to meet these particular guests of honor. At the head of the table will be my great-grandfather, Joseph Zawodny (1879-1944). He was the first person I thought of without question simply because there are so many mysteries surrounding this family. Even though we all love a good mystery, it’s about time we learned the truth! As we pass the food around the table, the first question posed to Joe is: Are you really Joseph Zawodny? The short version of this particular legend is that after my great-grandfather’s death a man came to the house claiming to be the “real” Joseph Zawodny. The stranger said, “He used my name to get into the country – he’s really Joseph Mueller.” I’d dismiss the story outright if my mother wasn’t there. Though still a child, she was old enough to remember the event. I’ve found records that appear to prove he was exactly who he said he was, but…what if he was someone else? There are some other interesting questions for Joe while we have the time. Did your wife’s parents really disown her for marrying you? Why? What exactly happened that caused her to be committed to a hospital as a schizophrenic? And what happened to your brother Stefan who seems to disappear shortly after his arrival in the US? I could pester Joe with questions all night about his family and where he came from in Poland. But let’s not ignore our other guests around the table! 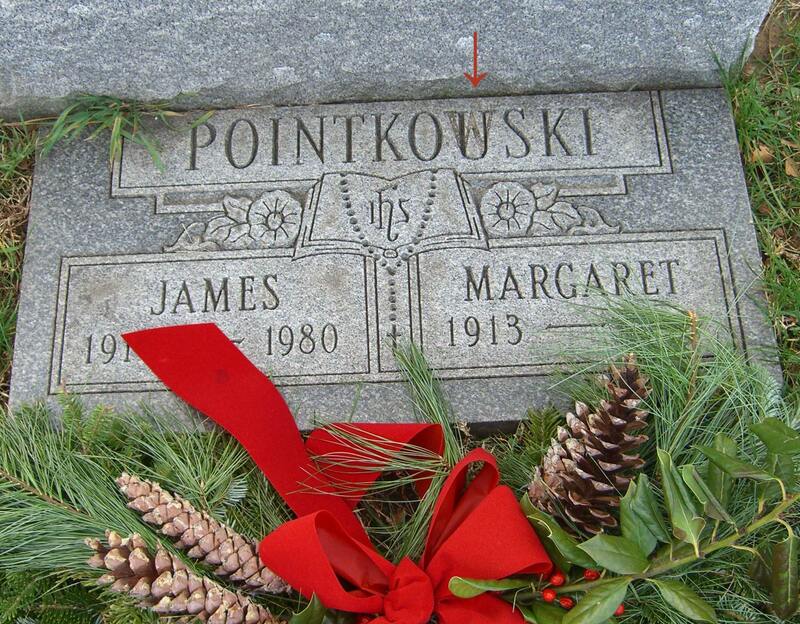 From my Piontkowski side, I chose the “Mrs”, Rose Piontkowski (1866-1937). 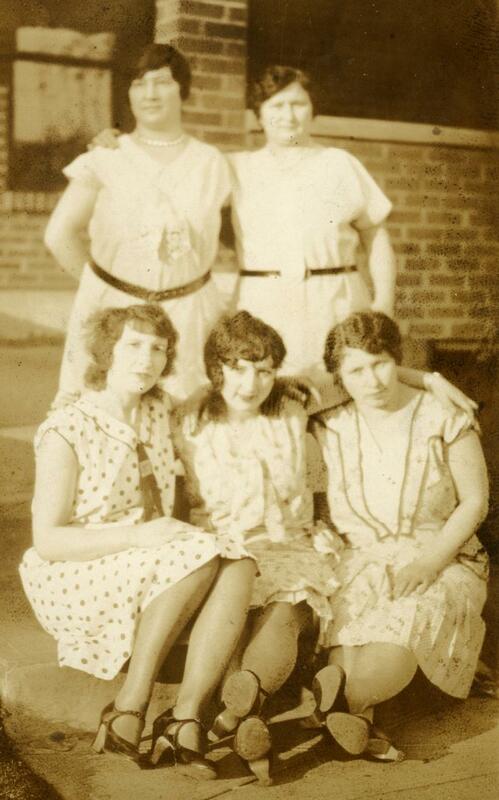 Rose is my great-grandmother, but I have no photos of her and I know practically nothing about her. Because of his, she seemed like an interesting candidate to attend our dinner party. I’m intrigued by her for several reasons. Her maiden name, which I’ve yet to verify through a birth or marriage record, appears to be some variation of Kiesewetter or Kisoweter. 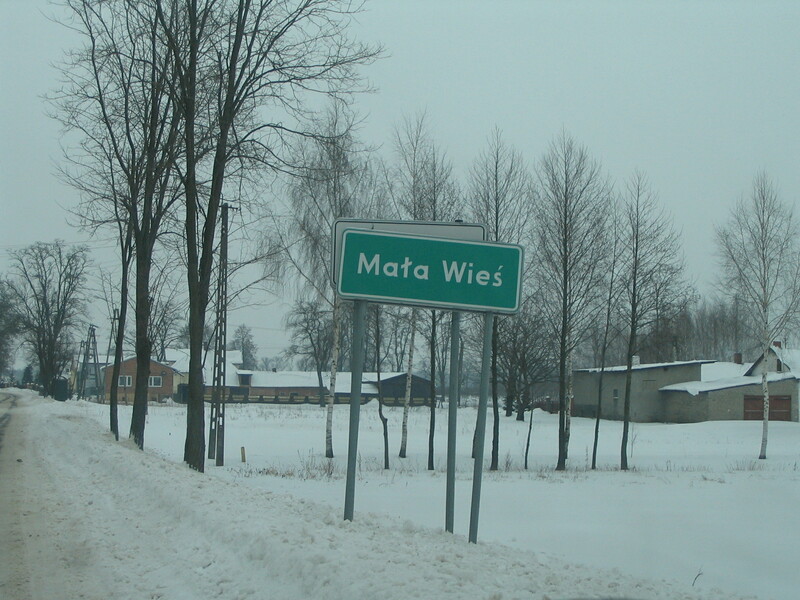 She was born in Warsaw, but the surname sounds German, not Polish. So, tell me about yourself, Rose! 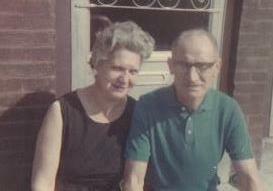 Was Grandpop a “surprise” to you and John back in 1910 when you were both in your 40s? Where did your daughter disappear to and whom did she marry? 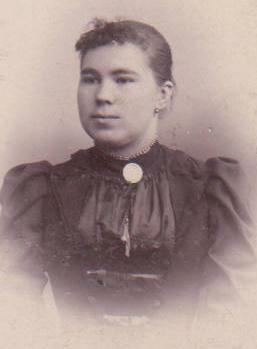 Next around the table is one of my other great-grandmothers, Elizabeth Pater (1891-1972), who was born Elżbieta Müller (or Miller). I actually met her! But, she died when I was five so I have no memory of her. I want to meet her because my mother says I have her eyes…and because I can’t figure out what town she was actually born in even though some records say she was born in Żyrardów. So, Liz, was your family really from Bohemia originally? Why did they go to Poland? You were in the US for less than a year when you married Louis, who had been here for three years…what’s up with that, Liz? You were both from the same town – did you promise to marry as young teenagers? Did you have any other siblings here besides your brother Emil? When he went back to Poland in 1910 with your nieces, what became of them? Tell me about your mother-in-law since you’re my only great-grandmother who didn’t have an ocean between the two of you! My Bergmeister-Echerer ancestors from Bavaria are the only ones not yet represented. 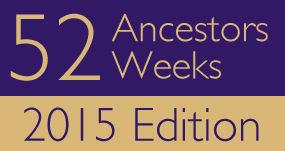 As much as I’d love to meet one of my great-grandparents, I decided to reach farther back. Way back…I’ve researched back to the 1600s with the Echerer family and they are still located in the town of Pfaffenhofen an der Ilm as shoemakers. But for this event I’ve chosen my 4th great-grandfather, Karl Nigg (also Karl Nick, 1767-1844), whose daughter married one of those Echerer shoemakers in 1844 just months before his own death. Karl was the stadtzimmermeister (Town Master Carpenter) of Pfaffenhofen an der Ilm around 1800, roughly two hundred years ago. He was also the son of the stadtmaurermeister, or Town Master Mason, Phillip Nigg (or Phillip Nick). I’m fascinated by what life was like in the town back then. So, Karl, how’s work as a carpenter? Tell me what happened when Napoleon’s troops came around near Pfaffenhofen. When Napoleon declared that all monasteries had to be “secularized”, you went to Scheyern Abbey to literally measure the church to determine its worth for the state – was that problematic for you, or was it simply part of your job? Why did you decide to become a carpenter like your father-in-law instead of a mason like your father and grandfather? What was it like having eleven children? I think Karl would be fascinated by the 21st century, even more so than the other guests who were born in the late 1800s. There would be a language barrier since he probably spoke only German, but we have a translator already present – Joe Zawodny spoke German! All in all, I think there would be some VERY interesting conversation around the table! But, you know how family gatherings go…Isn’t it always the same with these family dinners? After a couple of hours I’d have a hard time keeping Joe away from the wine, keeping Rose out of the kitchen where she’d show the cook how gołąbki should really be made, keeping Liz away from my boyfriend, and keeping Karl from demolishing and re-building my poorly-constructed house. Okay, folks, it’s time for you to go home!